Tuxedo Money Solutions, leading payment technology and prepaid card provider, has partnered with holiday specialist, Dawson and Sanderson, to implement its Escape Travel Money Prepaid MasterCard© Card programme across its 22 stores. Working in partnership with Dawson and Sanderson’s existing foreign exchange platform provider, IMX Software, Tuxedo has integrated its own eccount® platform, to deliver a seamless user experience for ordering and loading travel cards. The new programme eliminates the need to input customer information multiple times, creating a single basket transaction process. This bespoke, streamlined system now makes the process of selling a prepaid card as quick and as simple as selling currency. Developed in conjunction with IDT Financial Services Limited, Tuxedo’s Escape Travel Card programme offers a generous commission rate to distributing partners, paid over the life of the card for all loads. It also gives distributors a compelling alternative for customer promotions and incentives. Rather than giving holiday discounts, free packages/upgrades or cash back, the cards can be preloaded and given to customers as holiday spending money; not only earning the distributing partner a commission payment on the load but also encouraging uptake and further use. Commenting on the partnership with Tuxedo, Ian Clough, FX Directorof Dawson and Sanderson, said: “Previously, our prepaid currency card offering was time-consuming and cumbersome to sell; making it challenging for both colleagues and customers. Tuxedo however, has provided us with a simple, cost-effective and efficient prepaid card solution that makes the sales process extremely simple. Tuxedo’s expertise, bespoke package and efficient service have been invaluable to facilitate the implementation of this project in such a short amount of time. “We are delighted with the Escape Travel Card programme, along with the seamless integration of the product into our existing systems, which, through great teamwork, Tuxedo and IMX Software were able to deliver together. John Sharman, CEO of Tuxedo, said: “We are passionate about making payments smarter and delivering seamless payment solutions. By integrating our platform with IMX Software’s foreign exchange platform, we have not only been able to deliver a seamless solution for Ian and his team, but we hope to roll this out to other users of IMX’s solutions. 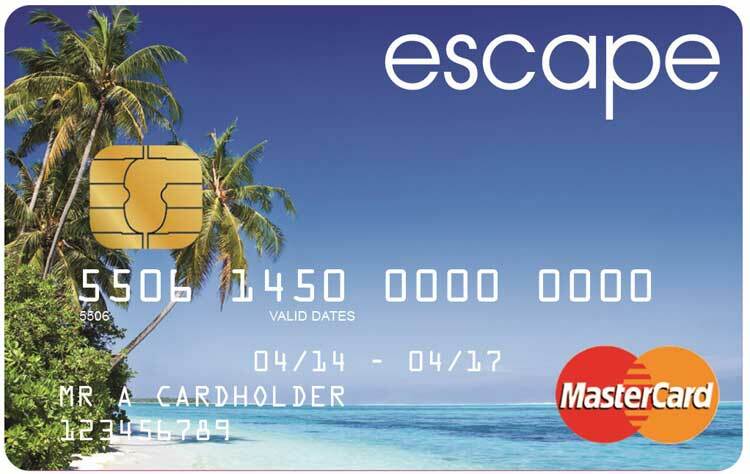 Tuxedo’s Escape Travel Money Prepaid MasterCard© Card has been created to ensure that consumers can spend their money abroad safely and manage their transactions without difficulty, as well as offering distributing partners an attractive commission opportunity and valuable brand extension. Sales of the Escape Travel Card can be tracked enabling the distributor to expand their database and customer MI (Management Information). The sale is tracked not only by source but also channel, branch and agent (including homeworker) giving distributors improved traceability, performance and channel analysis. The set-up process is simple with minimum disruption to existing business practices or processes and zero or minimal set-up costs. Moreover, there are no hidden fees or load targets associated with the Escape Travel Card. Perhaps most compelling of all, the lead-time for setting up the card with new distributors is only four weeks, ensuring partners and customers alike can start to reap the rewards quickly. As well as innovative SMS features, such as text to block/unblock and low balance alerts, another benefit of the Escape Travel Card is its flexible currency conversion. Unlike many competitor products, the card is loaded with GBP and conversion is done at the point of use, no matter where the cardholder is in the world. This gives the customer a much more flexible solution as the card can be used in multiple destinations, on the same trip or future holidays, without the need to pay to re-convert currencies. With the current exchange rate providing a five-year high for the pound, this card can promise competitive foreign exchange rates for tourists travelling between countries.